If a picture is worth a thousand words, the new videos posted today by Live Action showing live animation of the most popular abortion procedures is worth several volumes. 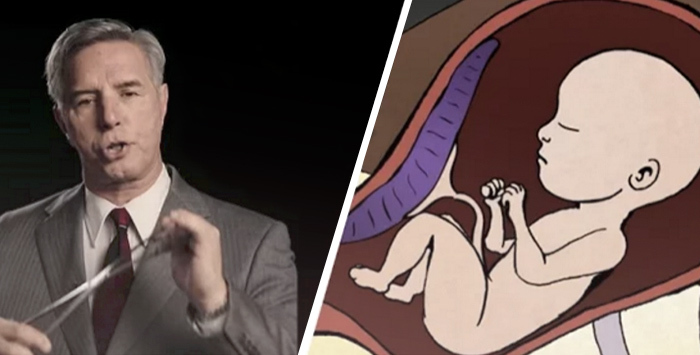 The videos, which are part of the group’s new website abortionprocedures.com, feature former abortionist, Dr. Anthony Levatino, explicitly describing abortions by aspiration, induction, pills, and dilation and evacuation (D & E). Even though the video only shows animated renditions of the procedures, the videos made me sick to my stomach. Honestly, it’s hard to watch these videos and not have a visceral reaction. The reality of what is being done to more than 3,000 unborn babies every day is simply horrific. Of course, babies aren’t the only ones harmed by abortion. Women are too. The videos expose the many health risks to the mother associated with abortion procedures, which include hemorrhaging, cervical damage, uterine perforation, and even death – not to mention the devastating emotional consequences. According to Live Action, one of 12 mothers who undergo medical abortions suffer from excessive bleeding – and five to eight-percent of women who get medical abortions end up needing surgery to stop the bleeding or complete the abortion. Do Wheaton Professors Value Christian Worldview? As a nurse I have taken care of women who have had a pregnancy loss. The baby had died and they went through labor. The pain, the grief was palpable. I was there to offer pain medication and my presence. After the baby was delivered I wrapped her in a blanket and gave her to the mother to hold. If desired we took a picture. We gave the mother a card with the imprint of the baby’s feet and a booklet. With abortion there is no emotional care. These videos are jarring and eye opening! Abortion is truly murder. The far left, and feminism are blinding the minds of people to see how wretched abortion is. It scars all involved.